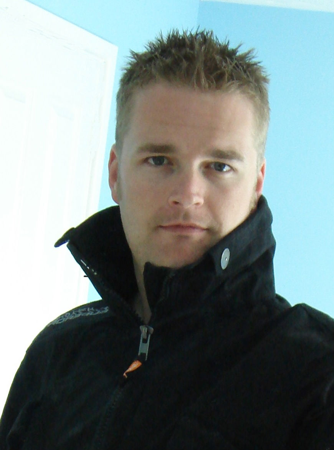 Tim Weaver is the author of currently two books featuring David Raker an investigator who finds missing people. He has a fondness for 80s action movies which he has transferred to his character. Ayo: For those of us who don't know anything about you, would you mind giving us a bit of background about yourself? Tim: Well, I’m a journalist by day, and have written about all sorts of things for all sorts of magazines and newspapers – but mostly I stick to what I know best, which are films, TV, technology and especially games. I’ve been very fortunate to get writing gigs with household names like Sports Illustrated and The Guardian, but I’ve also spent quite a lot of my life beavering away on specialist magazines, which is much harder work, but great fun all the same. Away from the day job, I write books, and when I’m not writing books, I like spending time with my wife and daughter, obsessing over American TV shows, and following my two football teams, Arsenal and Bath City. Ayo: I understand that your first novel Chasing the Dead took a long time to write. How long did it take to write? Tim: It took about ten years to get published, but that time was divided into two pretty distinct chunks. The first lasted about eight years, where I just couldn’t get anyone interested in the book, and just kept re-writing it and re-writing it, hoping it would come together while, at the same time, not really understanding why it was being rejected. The second chunk was much shorter and came after my daughter was born. I took six months off from even as much as looking at the book after her birth – and when I returned to it after that time away, it was like an epiphany. I could see everything that was wrong with it, took it back to the drawing board and basically started again. A year or so later, I plucked up the courage to send it out again. Six weeks later I had an agent. Four months after that I’d signed with Penguin. Tim: Definitely, ever since I was in my early teens. I was the weird kid who asked for a typewriter for his birthday and not Optimus Prime. Although, to save face, I asked for Optimus Prime too! Ayo: What made you decide to write a series and not do a series of standalone novels? Tim: I’ve just always grown up reading series characters, so the idea felt very natural to me. Authors like Michael Connelly were the reason I wanted to become a thriller writer in the first place, and I loved how Bosch changed from novel to novel. Each time he was slightly different. I also like the scope a series character gives you: you can build a world, and you can progress it, rather than having to build it all over again, every time. That’s not to say I wouldn’t like to have a bash at writing a standalone because I very definitely would, but I like the dynamics of a series. To me it’s like different seasons of a TV show: the events of one season impacts on those that follow, changing the character you get to know so well, in subtle (and sometimes not-so-subtle) ways. Ayo: What were you looking for in a novel that made writing a PI novel so attractive? Tim: Actually, I’ve never really seen David Raker as a PI, at least not in the traditional sense. He has some of those traits, of course he does, but the reason I made him a missing persons investigator and not a cop, or an ex-cop, or an ex-cop that’s now a PI, is because there were huge authors already covering very similar ground and I wanted something just a little different. Missing persons has a very emotional core: as parents, as children, as friends, we can imagine what it must be like to see a person you love dearly vanish into thin air, never to be seen again. How do you begin to cope with that when you don’t know if that person is even dead or alive? It’s loss, but a skewed sense of loss, and one with no closure. You can’t move on if you don’t have a body to bury. I thought that would give the books, and Raker himself, a bit of heart. That’s plenty of hardness in crime fiction, and you need that element – and that’s in the books too – but I wanted Raker to have empathy for the people who came to him, and be a kind of sympathetic action man. For me, he’s a psychologist as much as an investigator. Ayo: Is Raker based on anyone that you know and is there any part of you in David Raker? Tim: Not specifically, no. He’s more of a reaction to the type of characters I’ve seen in crime fiction over the years. I love the Lee Child books, for example, but Reacher is a god. He’s the Terminator. Fill a room full of thugs and he’ll stove them in one by one, while calculating the trajectory of a bad guy’s punch at the same time. He’s like the ultimate human being – he’s even got a clock in his head! I wasn’t sure I could write a book like that (and, to be honest, wouldn’t want to go up against the might of someone like Lee Child anyway! ), and was much more interested in creating a character who was a little more vulnerable and, I hope, a little more human. Someone who was touchable, I guess. Tim: You’re absolutely right. 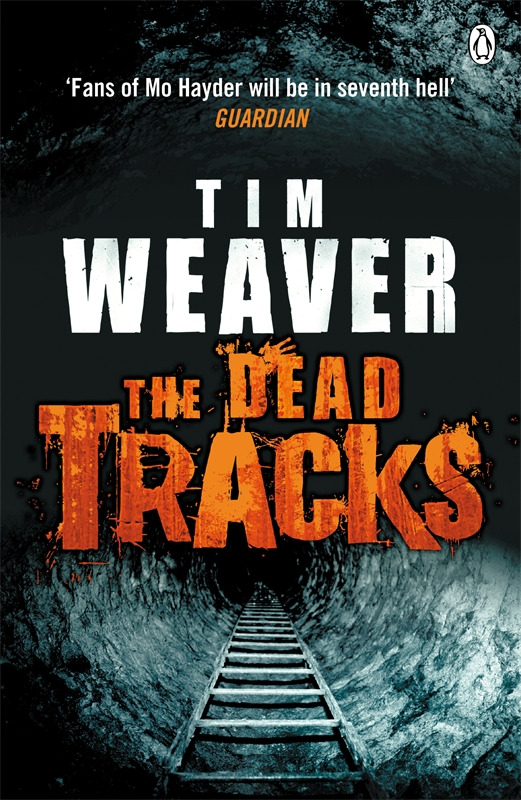 Raker gets pushed a long way in Chasing the Dead, and he definitely reacts to that in The Dead Tracks. In the second book he’s a different person in many ways; he’s learnt from his mistakes, learnt from the things that happened to him and learnt something about the nature of evil. There’s a line early on in The Dead Tracks where he says he’s never going to let himself be pushed as far as he was in Chasing the Dead. He can look after himself, he’s smart and brave, but he’s not stupid and he’s not careless, and this time out he’s definitely more watchful. In Chasing the Dead, Raker was very much the lone wolf, but in The Dead Tracks, he also has to work alongside someone he doesn’t necessarily like, which brings an intriguing new dynamic to his life. Ayo: Raker is quite a troubled person with a rather sad personal life. Were you determined not to make him “perfect” or were you just more inclined to fashion him after more “iconic” PI’s whose lives are somewhat troubled? Tim: He does have a sad personal life, but again I wanted to try to aim for something a little different. There’s a great tradition in the genre of detectives avenging the murder of a loved one – I’m thinking of brilliant books like Every Dead Thing here – so I didn’t want to compete directly with that. Raker’s wife dies after a long and ultimately unsuccessful battle with breast cancer, and I think, in many ways, he does what he does – and goes as far as he does – to fill the gap she’s left behind. But, perhaps more importantly than even that, her death runs parallel to his work as an investigator: she’s not missing like the people he’s trying to find, but she’s missing from his life and, for him, that’s enough. Ayo: What makes a character real for you? Must you work everything out about them before hand or do you just let it flow? Tim: I have a character arc planned out for Raker, which will see him through the first four books. Beyond that, I think it’s definitely a case of letting it flow! Tim: Chasing the Dead took a bit of researching, but The Dead Tracks was where I called on plenty of experts to help me out! I think it’s important to get details right, but you can get bogged down in them too. Ultimately, a thriller is built to thrill, and – once you’ve chatted to experts and got their stories, opinions and experience down – it becomes a question of exactly how much you use. Too much and the book becomes boring. Too little and people won’t believe in the world you’ve created. Ayo: In Chasing The Dead there is a great sense of place, in this case South Africa. How important was this and what is your relationship with South Africa? Tim: Raker spent a lot of time in South Africa in the run-up to the elections in 1994, and at that time South Africa was a powder keg; in places it was little more than a warzone. That impacts quite heavily on him as a person: the things people did to each other, the violence, the suffering. My interest in South Africa, and in that point in time, was really down to two things: a book I read called The Bang Bang Club, which was this astonishing account of photojournalists working the townships in the months and years before the elections; and secondly, my wife being South African, and – through her – developing a deep affinity with what’s an amazing country. Ayo: Were you a reader of crime fiction before you started writing it and if so can you remember the very first crime novel that you read? Tim: Absolutely. I’ve read crime fiction all my life. The very first thriller I ever read was Silence of the Lambs. I was about 14 at the time and it blew me away! Tim: Not as much as I’d like. I’ll be honest, when I’m writing a book, I don’t read at all. Not because I don’t want to, but because I find other books start interfering with my thought processes. I start to worry one of my characters is like one of theirs, or my story is the same as theirs, and it just makes everyone’s life – and I include agent, editor and family in this – a total misery. During my down time, I read as much as I can, though. I recently finished The Road on audio book, about five years after everyone else, and I’m currently ploughing through Stephen King’s Full Dark, No Stars. Ayo: Plot or character? Which do you think is the most important and why? Tim: I think character, although it’s a fine balance. If you’ve got a great plot, even the crummiest characters can carry it sometimes. Look at something like The Da Vinci Code. You wouldn’t say that’s got great characters in it – I literally can’t remember a single thing about the main guy in that; in fact, without cheating on the internet I can’t even remember his name off the top of my head – but the plot was so good, the pace so relentless, it papered over enough of the cracks. But that’s also the reason I’ve never read another Dan Brown. That probably sounds very arrogant coming from a new author like me about a mega-seller like him, but I don’t mean it to sound like that; just that, I personally didn’t like (checks internet) Robert Langdon enough to want to read about him again. I like characters you can come back to, who you feel empathy for, who you believe in and want to see succeed. Jack Reacher (Lee Child) is a great, memorable character. Harry Bosch (Michael Connelly) is. Logan McRae (Stuart McBride) is. These are people you instantly like and feel comfortable with, even if – months later – you can’t recall their stories. Ayo: Where do you find it the easiest to write and why? Tim: I need total silence, and need to be nowhere near a TV, as I’m easily distracted. We’ve got a spare room/office, which I use in the summer, but it’s like a refrigerator in the winter, so I tend to come downstairs where the warmth is between about October and February. Tim: I’m a particularly neurotic writer, so I worry a lot about what I’m writing and whether it’s good enough. I’m sure all writers feel the same way at some point during a novel’s gestation – you’re working with such a volume of words, dealing with so many characters and storylines, it’s inevitable that – unless you’re supremely talented or, perhaps, incredibly arrogant – that you’ll have doubts about your abilities. Luckily for me, my agent and editor are now black belts in calming my nerves. Ayo: The third Raker novel that is due out in February 2012 is called The Last Exit what can you tell us about this? Tim: I’m still trying to finish it, so it’s in a very rough state but basically the premise is this: Raker is approached by a woman whose husband got onto the Tube one morning – and never got off again. Ayo: Since writing Chasing The Dead and The Dead Tracks is there anything about how everything worked out that you would in hindsight like to change and if so why? Tim: I think I’d change more about Chasing than I would The Dead Tracks, but then Chasing is a book I’ve become very used to fiddling with over the years! I have to say, I’m pretty happy with The Dead Tracks generally. I’m not saying it’s perfect – far from it – but it feels like a step up from Chasing, and that’s as much as I could have hoped for in my second book. Ayo: Is there a book that you would like to have written? Tim: A Simple Plan by Scott Smith. A brilliant, masterful, beautifully written thriller. It’s just a shame he’s only written one (massively inferior) book since.